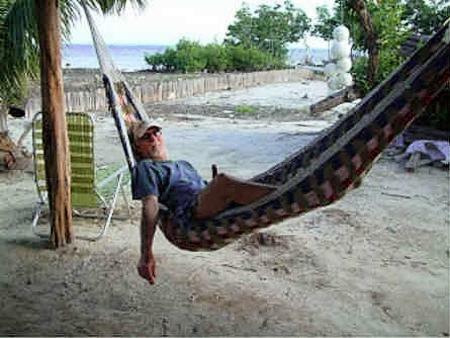 It is confirmed that the road will be paved North on Ambergris Caye. Phase ONE starting from the bridge to the Coco Beach area, which is approximately 3 miles will be done first. Phase TWO will continue the additional 4 miles further North after phase one is complete. According to Town Board this will increase property values and increase tourism on the island. Excellent news! We recognise there are some drawbacks for some people but We at least will welcome a more comfortable ride to town for our regular outings. And just in time for the Election. I wonder if we will see something tangible before we have to vote?? I'm a cynic, Yes but then there is reality to back up my opinion. Increase property values and tourism? More likely to increase traffic and speed. Loved the island for its quaintness and 3rd world feel along with the friendliness of the people. If I wanted to see speeding taxis and cement streets I could stay at home. The slow pace was one of the selling points that keep me going back. Maybe its time to reconsider and start looking elsewhere for a new vacation spot. Couldn't agree more. These are our feelings exactly. Nothing stays the same anywhere. We'll lose a lot of our old school visitors and gain a lot more new school - different dynamic or demographic. They'll spend less per group, do less and enjoy the beach bars and restaurants more but in higher volume. We'll need to up our infrastructure to cope and it's going to be tough time if we're headed more mainstream. Not sure I personally like it, although it will likely see my value increase - unless we totally balls it up which is always a possibility. You're right on the money, tahunt. The infamous killing of the goose that laid the golden egg! But no one wants to listen, until it's too late. the bottom of the heap. It's funny how most visiters come from 1st world countries to see the charms of a third world country but take offense to them trying to improve. I am sure most Belizeans look forward to any improvement in their lifestyles. Yes it was quaint to have Front, Middle and Back streets just sand. But I bet most of the Locals now enjoy having paved City streets. Get off yer high horses and let them progress as they can and wish. While the charm of the road north is real, the pot holes, mosquito filled puddles an impassable mud holes made it a nightmare sometimes. One of my favorite things to do in SP is to rent a cart and trek north on the "Rum Punch" tour. Coco Locos, the Palapa Bar, Lazy Croc BBQ, Rojo Lounge, Mata Chica, Portofino and sometimes if we feel adventurous, Belize Legacy (can't remember the new name)and Tranquility Bay. If the road is nicer, more folks will trek north and those places will have more customers. When the hand pull ferry went away, we missed its charm the first year, but the bridge has been so much nicer. The old "Corona Freeway" project might become a reality. Like Phil, I'm not quite sure how I feel about this, but like the idea that it will be easier to get to northern places we love.